I am, meeting my target. One battleboard down and SAGA LOTR is underway. I think this little side-project might shake a few people's spare LOTR figures out of storage, since two mates who would never have fielded WOTR armies have mentioned they might have enough for SAGA. I went the prettier route (though maybe a little marred by my layout!) and used the very nice blank board off the Studio Tomahawk site. It seems to suite the brutal Isengard style well. 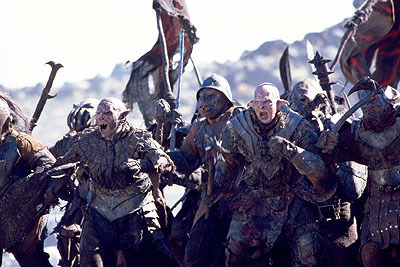 Elite Uruk Hai: 1pt for four. These may be Elite Uruks (two attacks, Armour 5) or Berserkers (armour 3, 3 attacks). 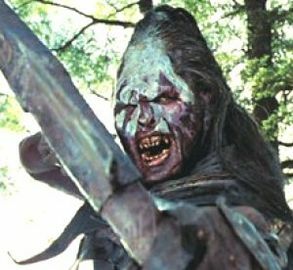 Uruk Hai: 1pt for eight. Either Warriors (one attack, armour 4) or Uruk Pikemen (Always move S, Pikes prevent enemy mounted units using battleboard abilities). 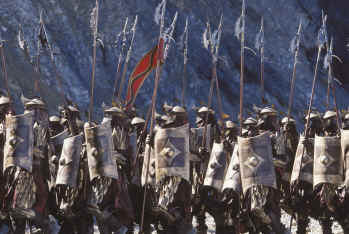 Or up to one unit of eight may be Uruk Crossbowmen (one attack, crossbow -1 enemy armour, armour 3 vs shooting). Up to one Troll: 1pt. Counts as mounted (move L), armour 5, ignores first unsaved hit and each further failed save causes a wound on the great beast. A troll must be wounded three times to be felled. It has four attacks and causes -1 to enemy armour due to its great strength. Wargs: 1pt per eight: Mounted, armour 3 vs shooting. 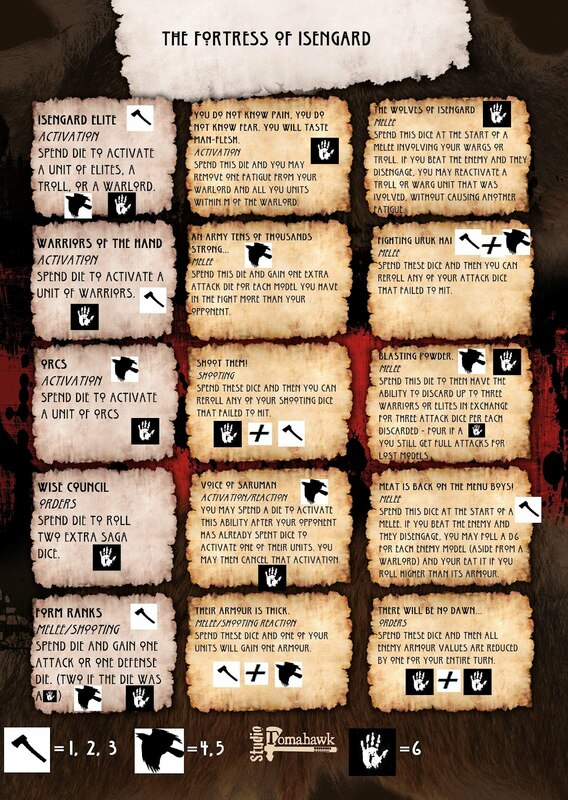 Elite Wargs: 1pt per four: Mounted, armour 4 vs shooting, two attacks per model. Isengard Troll - hope I have balanced it right! Very nice army list and amazing battleboard. Especially the use of dice symbols gives the sense of Saga! Thanks a lot! Lock me in for Minas Tirith! Thanks Maximilian Walker, and dramatic katstases. @ Chris - I'm going to have to get busier on the boards! 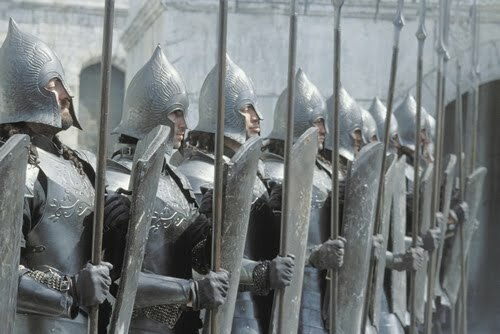 The Guards of the fountain court are pretty cool IMO and they would be cool hearthguard. 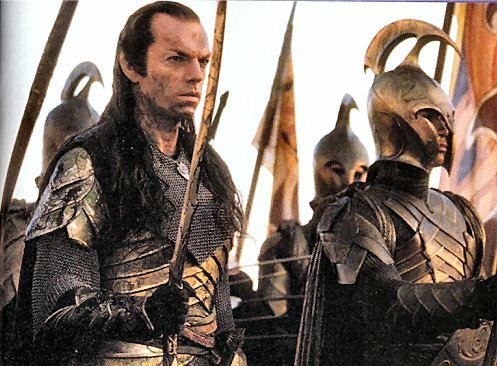 I quite like the osgiliath veterans as well. Axemen of lossarnach can be guys with Dane-axes. Lots of possibilities if u can get the right figs. I don't have Saga yet, but have been very tempted...this would really by great for me, with lots of fantasy figures already. How would you handle the Fellowship? Very nice, can't wait for the Gondorian and Rohan boards! Hi Andy, haven't really considered the Fellowship yet but there may be some possibilities in a version of the original Saga Jomsviking unit? @ Mandarin - Gondorians to come. I am sure Rohan are doable too. I wish I had more of the GW figs for them, actually - I have only the twelve horse atm. They would make a very cool SAGA force. @ Scott, have you played SAGA? Good fun system and designed for adults, I think you'd like it, if you haven't tried it already. As for the Fellowship- I imagine them to being their own list with their own board. I would put Aragorn (and Gandalf?) up at a Warlord Level, Boromir, Legolas and Gimli would be maybe a 3 or 4 attack type dealie, the hobbits run around as groups of 2 being largely rubbish? With some sort of a "Heroic" rule so they ignore the first wound, they could be awesome, but a few bad rolls and it would all go wrong! Cheers Chris - I had been mulling the Fellowship but there seems no great impetus for it as long as none of us have them. FWIW - I am scandalised at how you under-rate Boromir! 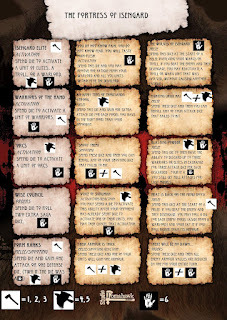 I thought perhaps the rulebook Joms-viking unit might be an ok prototype for the Fellowship? I did like the GW approach too where each model brings a special unit wide rule and you lose it when the model is removed as a casualty? The other idea I just had would be to basically give them a bigger board, with lots of abilities. That way you could have certain abilities that only Gandalf could use say, as well as ones for Legolas etc. That's more in line with the GW approach. I had to make a call, it's not that I underrate Boromir (he is on my painting table right now, so there is a benefit to me for him being awesome! ), it's that there should be some distinction somewhere. Even making the fighters 4 attacks? Legolas could be 4 shooting attacks, 2 combat attacks or some such. I would be keen to see mordor as scots or similar, vicious on the counter attack but die fairly quick..? McKenneth could roll as a Nazgul who brings his opposition under a dark spell perhaps?